Defence Minister Harjit Sajjan answers a question during Question Period in the House of Commons in Ottawa, Tuesday, April 4, 2017. 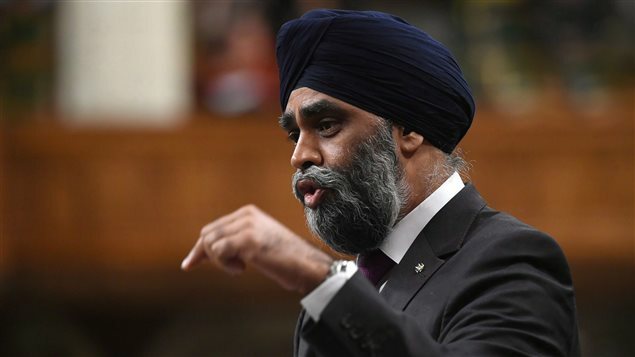 Canada’s Defence Minister Harjit Sajjan’s first visit to India as a member of cabinet is being overshadowed by controversy after a high-ranking Indian state official refused to meet him and accused Sajjan of being a sympathiser of a Sikh separatist movement. Sajjan, who immigrated to Canada from India with his family when he was five years old, arrived in India today on a seven-day official visit to discuss defence and security cooperation, trade culture and innovation. His itinerary involves meetings with Indian officials, including Defence Minister Arun Jaitley and External Affairs Minister Sushma Swaraj. Sajjan, Canada’s first defence minister of Sikh origin, will also travel to Amritsar home to the Golden Temple, the spiritual and cultural centre for the Sikh religion, as well as visit Punjab state capital of Chandigarh and India’s largest metropolis, Mumbai. In his native Punjab, Sajjan is expected to visit the Golden Temple and meet with representatives of civil society organisations. In Chandigarh, he will inaugurate the new office of Canada’s Consulate General in Punjab. 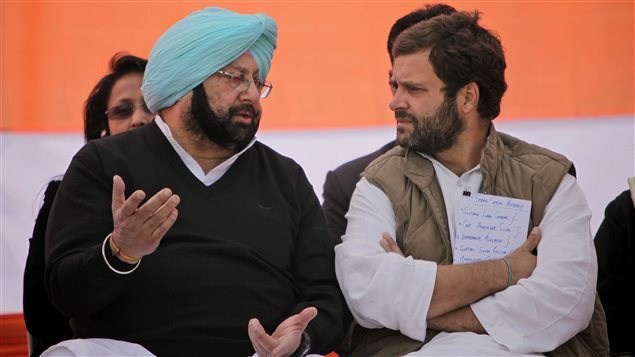 However, Sajjan will not be meeting with Punjab chief minister Capt. Amarinder Singh, who like Sajjan is a Sikh and a former military man. Amarinder Singh has accused Sajjan, a highly decorated Afghan war veteran and former Vancouver police officer, of being a “Khalistani sympathiser” and refused to meet him, according to reports in the Indian media. The Khalistan movement was a Sikh nationalist movement active in 1970s through to 1990s that sought to create a Sikh homeland, Khalistan, in the Punjab region of India and Pakistan. Sajjan’s spokesperson Renée Filiatrault confirmed that there are no meetings planned with Punjab state officials. “Minister Sajjan is a proud Canadian, with a lifetime of service to Canada, as a member of the Canadian Armed Forces, a member of the Vancouver Police Department, and now as the MP for Vancouver South and as Canada’s Minister of National Defence,” Filiatrault said in an emailed statement. Sajjan’s trip to India is focused on strengthening the long bilateral relationship between Canada and India, Filiatrault said. Retaliation for Ontario’s recognition of Sikh genocide? However, the Indian Express newspaper reports that the Aam Aadmi Party (AAP) has accused the chief minister of being part of a “political conspiracy” hatched by the Congress Party in retaliation for the April 6 motion by the Ontario provincial legislature to officially recognize the Sikh genocide carried out by the Congress-led Indian government in 1984. Thousands of Sikhs were killed in the anti-Sikh riots that followed the assassination of then Prime Minister Indira Gandhi by her two Sikh bodyguards. The Indian government refuses to recognize the anti-Sikh massacres as genocide and estimates that 2,800 people died in the riots. The news of the private member motion supported by all three political parties in the Legislative Assembly caused consternation in New Delhi. “We reject this misguided motion which is based on a limited understanding of India, its constitution, society, ethos, rule of law and the judicial process,” external affairs ministry spokesperson Gopal Baglay was quoted by Hindustan Times. It’s unclear whether the issue of the Ontario motion will be raised by either Defence Minister Arun Jaitley or External Affairs Minister Sushma Swaraj during their planned meetings with Sajjan. Settling personal scores with Canada? According to a report in Hindustan Times, last April Canadian authorities denied a visa to Amarinder Singh, who was planning to visit Canada for meetings with influential Punjabi-Canadians in the run-up to the Punjab assembly elections. Officials at Immigration, Refugees and Citizenship Canada and Global Affairs Canada could not be reached for comment on Monday. The AAP leader urged Amarinder Singh to reconsider his “unjustified statement borne out of petty considerations” and welcome Sajjan to Punjab as a state guest, the Indian Express reported. As a former member of the Canadian Armed Forces, Sajjan fought abroad to ensure and protect human rights around the world, said Filiatrault. “The Indo-Canadian and Sikh community in Canada has made – and continues to make – major cultural, social, economic and political contributions to the pluralistic and multicultural mosaic that is Canada, and Minister Sajjan is proud to call himself both Indo-Canadian and Sikh,” she said‎. Very nice article. This is the right way to boycott such kind of person. Nobody will be allowed to say anything against India.